Kreyon’s Enterprise content management system helps businesses to organize, manage, and integrated data like documents, files, records, product catalogues, information, emails, application data and web pages etc. 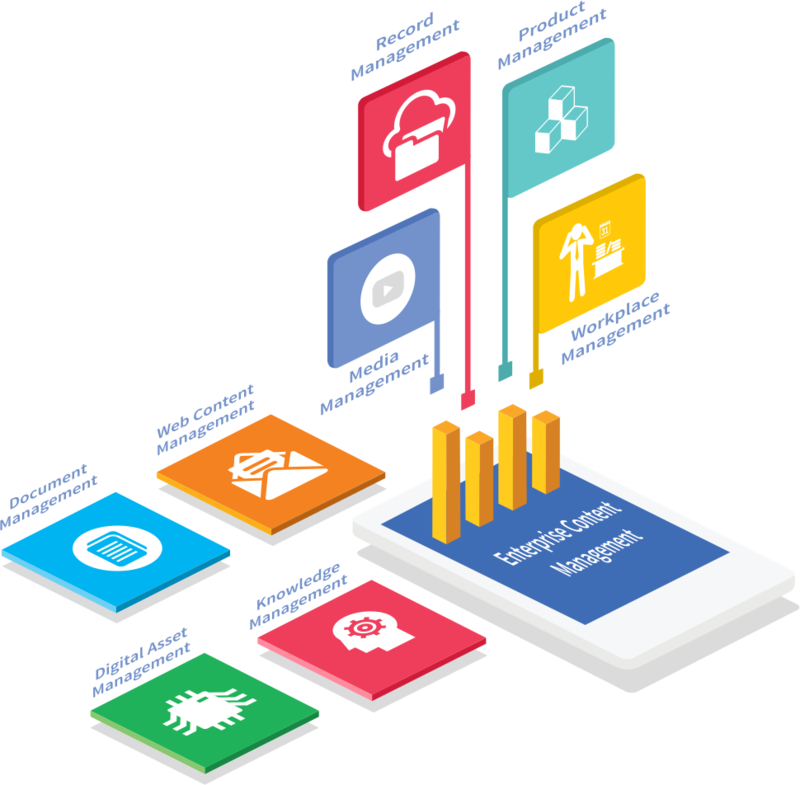 Enterprises can make use of the integrated system to manage their data seamlessly. They can manage complete lifecycle of content using this system. The software maintains data with high security standards and allows privileged access to data. Automated workflows for creating, editing and publishing documents improve business processes & collaboration among staff members. Our Multi-channel document capture supports scanners, fax machines, digital files like PDF, images and applications data. Transactional Content Management is suited for organizations which need to manage information & paper trail for documents. This data is required for audit purposes. Kreyon provides provision for maintaining this data through advanced input methods. Maintaining & segregating Clients data is easy with ECM. Focus on Customer data to improve customer engagement with a complete view of customer interactions across your channels. ECM allows an organisation to manage more documents effectively. Manage documents across departments, locations and offices with high performance, high volume and scale. Business process approvals like Invoicing, sending proposals to clients, and Request for proposals etc can be managed efficiently using ECM. Automated reminders and workflow improve collaboration & make the system seamless. The workflow manager allows collaboration & content approval. Track the status of documents, where they are pending, approval status and authority sequence etc. Organisations can configure privileges on data access as per their hierarchy and authority levels. The electronic documents are completely secured. The Archive Cleanup feature helps you to back-up old data and store it securely too. The complete lifecycle management of huge volumes of data has never been easier. Improving internal communication is one of the primary reasons organisations invest in corporate office automation. The staff directory and management helps to organize teams according to departments, roles and projects etc. The majority of IT Administrators/Managers only require a few hours a week to manage their work. Our Office Automation provides a variety of Automation Management tools that enable Admin Role Delegation to help IT and other departments to manage the Office Automation. A smart ECM solution provides you integrated access to organizational information. A secured document management manages complete lifecycle from the time document is created or captured in the system till the time it is retired from the system. Documents are centralized, secured, searchable, and accessed only by the relevant persons. Our ECM solution provides document management and version control to manage revisions, and collaboration. Teams can create and work on one document simultaneously, maintain notes, revisions and comments on documents. The system manages time stamping and provides access to old versions of the document too. Our ECM solution will reduce the cost of printing, managing, shipping and storing paper. Documents will be captured and maintained digitally. The management of physical documents is very tedious and requires massive amounts of time for indexing. Digital Document systems provide instant access to content and processes from anywhere, including mobile devices reducing time & saving costs. Increased productivity is achieved by making information available to all persons, all the time and from anywhere. The workflow & automation of low level tasks are done by the system leaving employees with more time to focus on crucial tasks. The customer service representatives have all the customer data, issue history and records at their disposal with an ECM System. The customer service can be improved with consolidated information across departments and proactive communication using ECM solution. 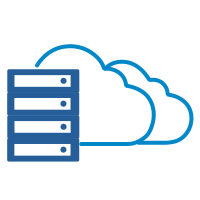 In this scenario, the data and ECM system resides on the company servers, the network & storage devices that store the data are present physically with the client. 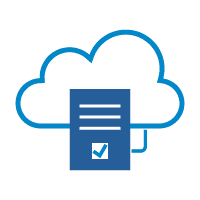 SaaS delivery model allows companies to use ECM instantly without requiring any physical infrastructure for managing the application. The application resource provisioning is done by Kreyon. 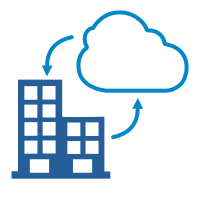 Hybrid deployment for ECM is done when a part of the content lies on the physical servers located at the clients premises and other documents are stored on the cloud.